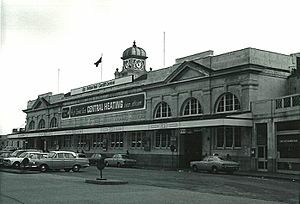 Cardiff Central railway station (Welsh: Caerdydd Canolog) is a major railway station on the South Wales Main Line in Cardiff, United Kingdom and one of two hubs of the city's urban rail network. 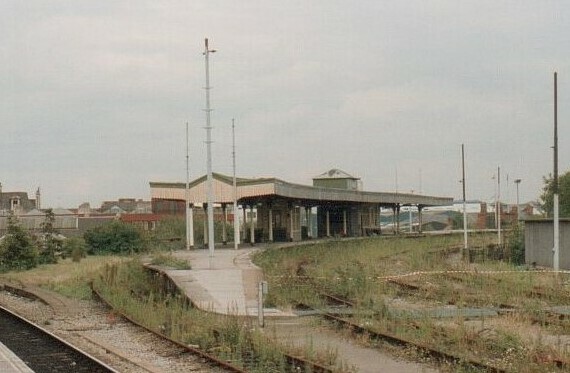 It is the largest and busiest station in Wales and one of the major stations of the British rail network, the eleventh busiest station in the United Kingdom outside London (29th busiest overall), based on 2009/10 total entries and exits. 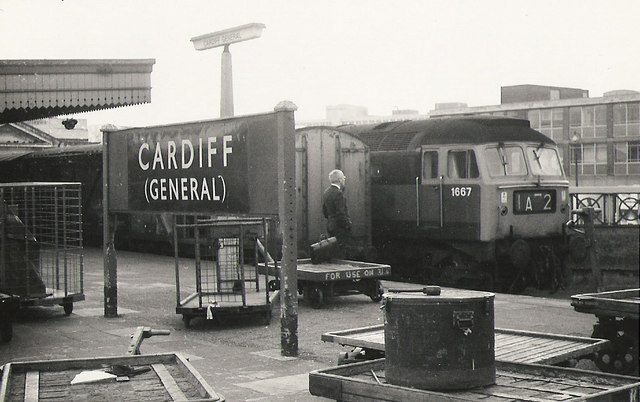 It is located near the Millennium Stadium in the city centre and is one of 20 railway stations in the city and one of two in the city centre, the other being Cardiff Queen Street, both of which are hubs for the Valley Lines urban rail network, with several lines in Cardiff and the surrounding valleys. Cardiff Central is a Grade II listed building managed by Arriva Trains Wales. It is an interchange between the rest of South and West Wales, and other major British cities. Arriva Trains Wales operate services to West Wales, Holyhead, Crewe and Manchester, as well as the South Wales Valley Lines. Great Western Railway runs intercity services to Bristol and London, and regional services to Bath, Taunton, Southampton and Portsmouth, whilst CrossCountry operates trains to Gloucester, Birmingham, Nottingham and Manchester. Cardiff Central railway station Facts for Kids. Kiddle Encyclopedia.